Long about this time every year, I start to get this familiar restlessness. It never fails – late March/early April is when it strikes. It’s this feeling that I need to hop in the car, get on the Parkway, and head down the shore. It’s the draw of the ocean. It’s the feel of the boardwalk against my shoes. It’s the salt air. It’s the FOOD! But we’ve had a weird spring here in the Garden State, near 70 degrees in February and 30 degrees in April. The weather was not cooperating with my annual ritual. Thank heavens for Deb Smith’s new book, The Jersey Shore Cookbook. Maybe I couldn’t physically get to the shore, but I could get there virtually! As I sat in my north Jersey living room, each page brought me another exit closer to our beloved Jersey Shore. This book is literally a road trip down the GSP (Garden State Parkway for you out-of-staters). Starting in Keyport and ending in Cape May Point, I transported myself to a day at the beach and all the good things that go with it. Talking with the chefs and the farmers, the bakers and the fishermen, the restaurant owners and the dock masters, Deb has captured the essence of Jersey Shore cooking. 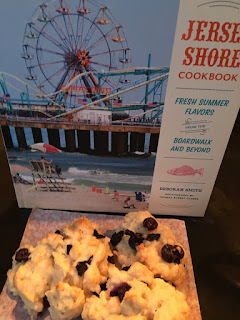 From breakfasts to desserts and every course in between, the book is packed with delicious recipes direct from the people who live and breathe the shore every day. 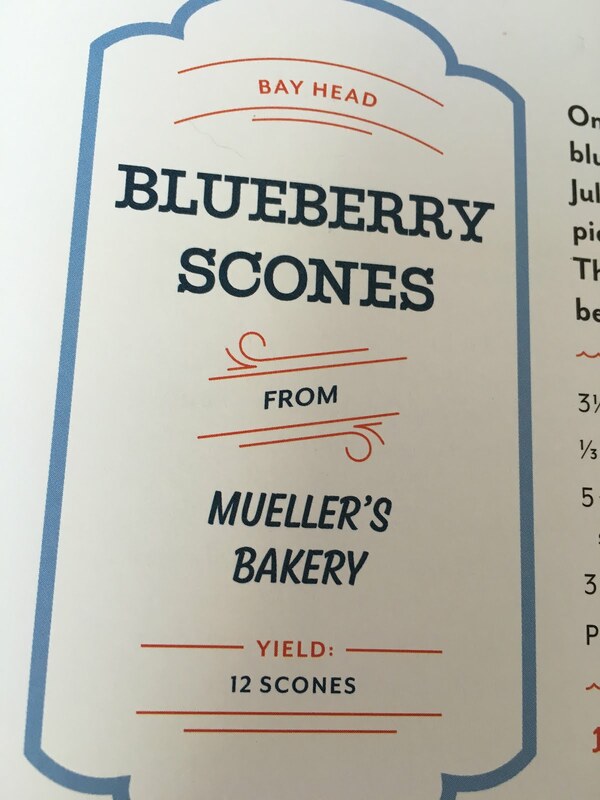 Being a baker, I was particularly drawn to the page highlighting Mueller’s Bakery in Bay Head. Sad to say, I have never been to Mueller’s but its crumb cake is legendary. Since it usually sells out early in the day, I will probably never get it unless I overnight in Bay Head (hmmm, there’s a thought…). They are also famous for their blueberry scones, the recipe they shared with Deb. 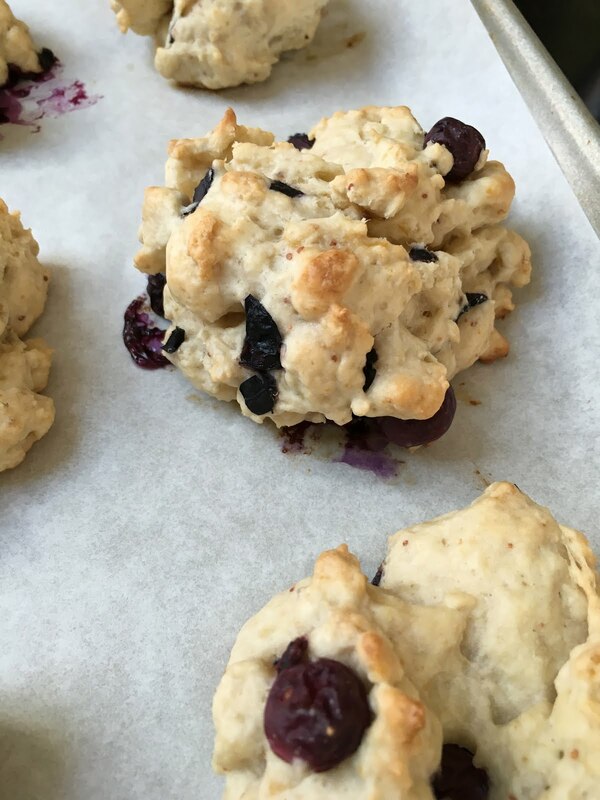 Having a container of beautiful blueberries on hand, I whipped up a batch. Seeing that the recipe called for bread flour, I was concerned the scones might be heavy. But fear not, these are light as air. Calling for two cups of fruit, there was almost not enough batter to encase all of them. These are no wallflower scones, people; they are BIG! I have secretly named them “My Big Fat Blueberry Scones.” Don’t tell the people at Mueller’s! 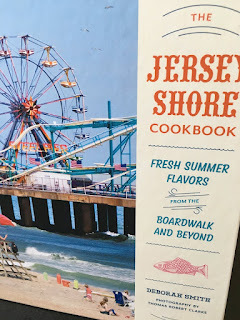 Deb has weaved a lovely tribute to the Jersey Shore in this book. If you spend any time down the shore, you’re going to want this book. If you love to cook, you’ll want this book. 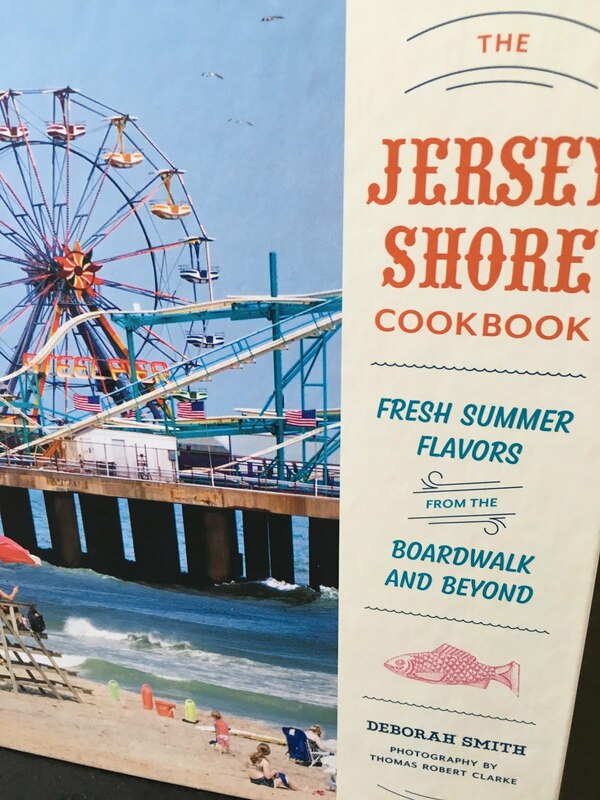 If you grew up in New Jersey and have since relocated, get this book – it will instantly bring you back to those wonderful summer days where the only decisions you had to make were what bathing suit should I wear today, and what restaurant should we go to tonight. I think spring has finally arrived in New Jersey. Today might be the perfect day for that road trip. I’m feeling hungry. What a fantastic write up! Thank you so much Terry!